For Aces' fans, John Fogerty's "Centerfield" does not only serve as a classic baseball anthem but a reminder of quality outfielders who have dawned the position at Greater Nevada Field. 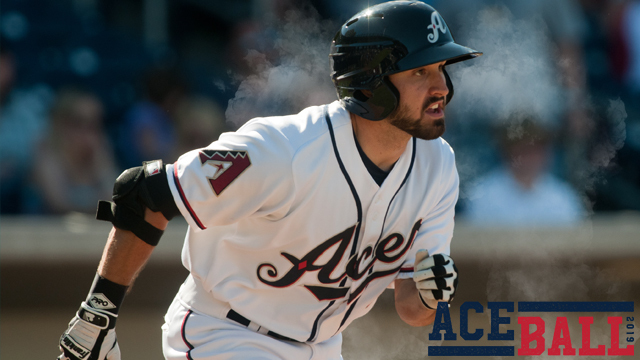 Adam Eaton's ('12, '13) 2012 Aces' campaign is arguably the best single season performance in franchise history. The lefty went on to win PCL Rookie of the Year and MVP in the same season. In 119 games, he hit .381 racking up 186 hits, 119 runs, 46 doubles, 38 stolen bases with an on-base percentage of .456 - all franchise records. The outfielder has been traded twice since making it to the big leagues. Once in 2013 to the Chicago White Sox in a three-team deal that brought Mark Trumbo to Arizona. And once again in 2016 after his best season as the centerpiece of a deal between the White Sox and Washington Nationals for top pitching prospects Lucas Giolito, Reynaldo Lopez and Dane Dunning. Unfortunately, injuries have made the most recent trade lopsided to this point in favor of the White Sox. Eaton has played just 118 games over the last two seasons after suffering a torn ACL in 2017 and needing ankle surgery in 2018. Giolito and Lopez are currently mainstays in a rising White Sox rotation, while Dunning is the sixth overall prospect in a loaded farm system according to MLB Pipeline. Eaton appears to be healthy and is expected to bat lead-off in Washington heading into 2019. However, injuries have caused the outfielder to shift to right field full time with top prospect Victor Robles likely to take over in center. Eaton is currently 4-for-11 with two doubles, three runs scored, and three RBI thus far in spring training. A.J. Pollock ('12, '17, '18) was also a large part of the Aces' PCL championship run in 2012. In 106 games, he hit .318, while tallying 136 hits and stealing 21 bases. A fan favorite in Reno and in Arizona, this particular offseason stung in regards to this centerfielder. The 2015 all-star and gold glover signed a 5-year, $60 million free agent contract with NL West rival Los Angeles Dodgers in January. It was hard to see Pollock staying in Arizona however despite his obvious talent. He's played just 237 out of the possible 486 games since his all-star selection due to injury. Combined with an offseason that saw Paul Goldschmidt go, it will be a very new look at Chase Field this season. Pollock has struggled a little out of the gates so far in the Cactus League. He is currently hitting .214 in 14 at-bats with six strikeouts, one walk and one run scored. Pollock is batting 5th for the Dodgers' Monday matchup against the San Francisco Giants. Who is replacing Pollock in Arizona? It is expected to be Ketel Marte ('17). Marte is transitioning from the middle infield where he has spent majority of his career. 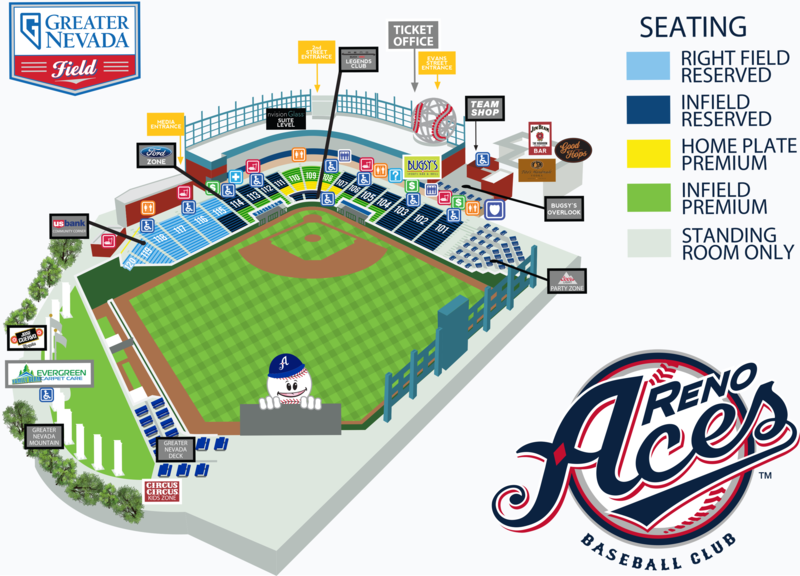 But the shift to the outfield has always been in the back of the organization's mind as Marte did play five games in center field with the Aces in 2017. While in Reno, he hit .338, with 23 doubles, seven triples and totaled an OPS of .905 in 70 games. So far this spring training, the switch-hitter is batting just .214 in 14 at-bats with a double, a stolen base and one run scored. Though reports from D-backs camp indicate the transition is going smoothly to this point. Marte was brought to Arizona in a 2016 trade for an outfielder that isn't too shabby himself. The Seattle Mariners sent Ketel Marte and pitcher Taijuan Walker to Arizona for Zac Curtis, Jean Segura, and 2018 all-star Mitch Haniger. Haniger ('16) had himself a breakout season for the Mariners hitting .285 with 26 home runs, 93 RBI and 90 runs scored. He mostly played right field but did appear in 35 games in center. Haniger had the 12th highest WAR (6.1) among position players a season ago and was 11th in AL MVP voting. In 74 total games with Reno, the outfielder hit .341 with 20 home runs and 64 RBIs during 2016. Haniger is 3-for-10 with two home runs, four RBI and four runs scored so far this spring. Lastly, Ender Inciarte ('14) spent 26 games in an Aces' uniform in 2014. He hit .312 with four doubles, three triples while stealing seven bases. Since making it to the big leagues, Inciarte has earned one all-star selection to go along with three gold glove awards with the Atlanta Braves. This spring, Inciarte is 4-for-14 in with one run scored so far. Hindsight is 20/20 and Inciarte is a perfect example for Arizona. Inciarte along with Dansby Swanson and Aaron Blair were shipped to Atlanta in return for Shelby Miller and Gabe Spier in a 2015 trade. Miller was coming off an all-star selection that season. Miller appeared in just 31 total games for the D-backs as he battled injuries over three seasons including Tommy John in 2017. Miller signed a one-year free-agent deal with the Texas Rangers earlier this year.